You know that crank e-mail terror threat that shut down the Los Angeles Unified School district and kept more than half a million students home for the day? Well, it turns out that it wasn’t a bogus threat at all. For mainstream media outfits like NBC, the ratings they get when they can report “credible terror threats” are simply too much to resist. And because it’s all about ratings—as opposed to something like measured analysis—reporters frequently don’t want to get off the ride, so to speak. So if anyone’s still confused about why there’s so much wiggle room regarding what gets slapped with the “Big T” label, consider the fact that NBC and Chuck Todd were clearly disappointed that the threat didn’t turn out to be a bigger deal. 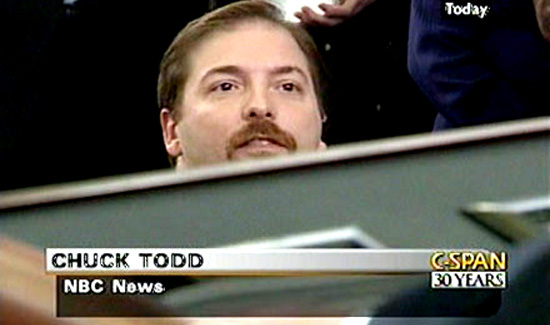 If everything turns out OK and no one gets blown up, guys like Chuck Todd are mad instead of glad. It’s a truly remarkable development in the so-called global war on terror.